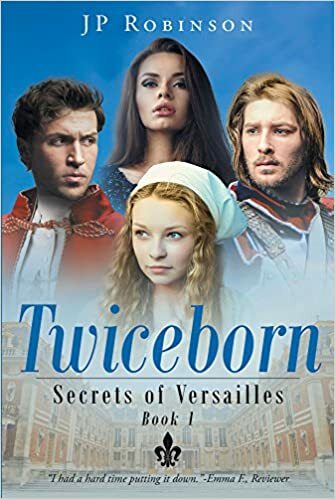 Twiceborn by JP Robinson is the first book in the “Secrets of Versailles” trilogy. It was released on September 5, 2017 and is available on Amazon.com. Twiceborn is filled with history, explosive action, evil, good, romance, and politics (of historical France). A woman gives birth to twins, Antoine and Hugo, fathered by two different men. Throughout their lives, there is rivalry between them but when they fall in love with the same woman, their rivalry reaches the breaking point. As in all lives, the lives of Antoine and Hugo intertwine with the lives of other characters in the book and the rivalry between them leads to struggles for others who know, love and trust them. Some of the characters find that their trust in either of these men is misplaced. JP Robinson has created strong characters who captured my interest from the beginning of the first page, and he weaves a tale that kept me turning pages, sometimes well into the night, until the very end. 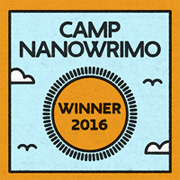 There were many times that I was on the edge of my seat; times where I gasped in surprise and shock; and times I cried for the characters I loved, and sometimes I rejoiced with them. The characters in Twiceborn will live in my memory for a long time. Twiceborn is rich in scriptural allegory as well and I recognized familiar Bible stories woven throughout. Twiceborn is an epic drama of love, redemption and the power of God. I look forward to seeing what JP Robinson has in store for me in Book 2 of the “Secrets of Versailles” series. I’m glad to hear it, Fiction Aficionado! I’m sure you’ll enjoy it.